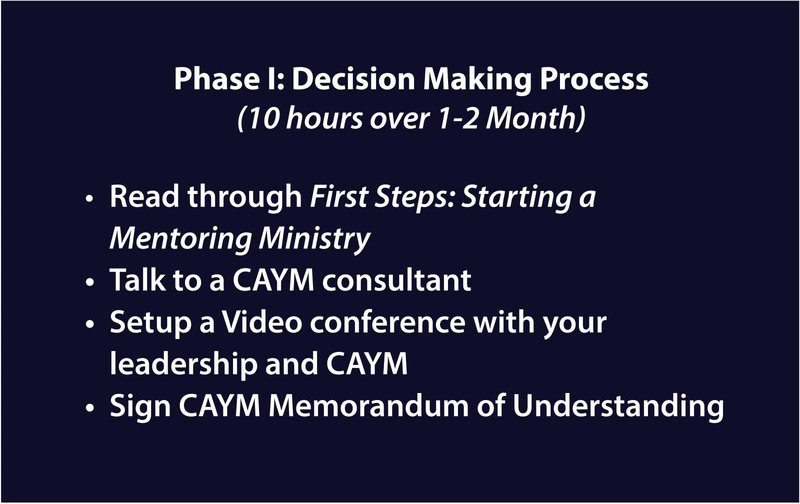 CAYM offers three packages of services for those starting or growing their mentoring ministry. These packages can be customized to meet your program's needs. 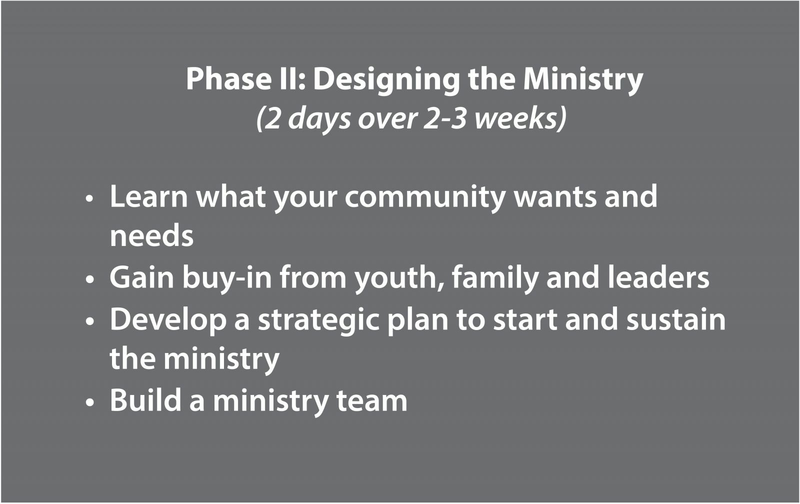 Check out our services page for more information. 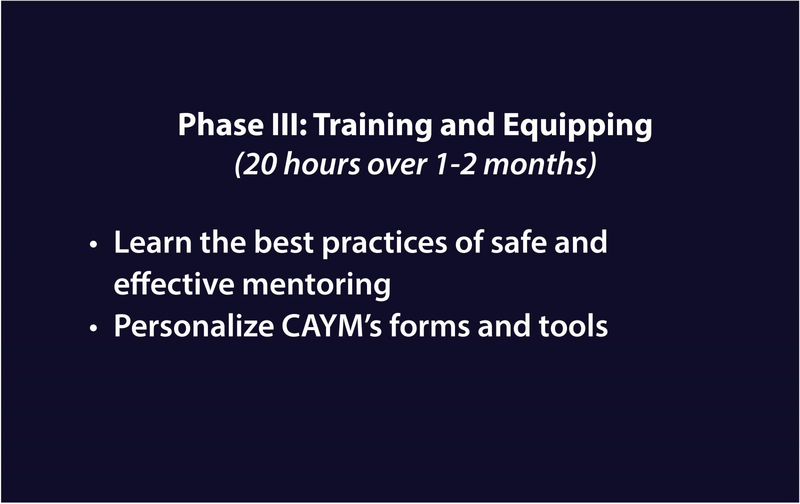 CAYM offers two online training courses to meet the needs of your program and community. 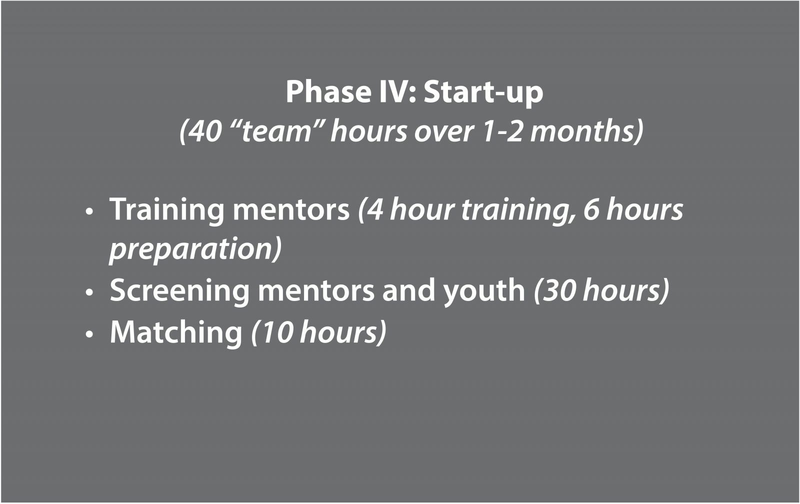 Core Training: If you're starting from scratch or need to redirect your program, our Online Core Training will take you through each step from designing through best practices and implementation of what you have learned. New Team Member Training: Our New Team Member Training helps prepare new staff by taking them through mentoring best practices and implementation. The course involves readings, videos and online coaching.